I must say, as historical and inspirational this story is, in all honesty, I was quite disappointed with this film. It’s hard to be critical on movies concerning sensitive topics like this, and I definitely do not want to start a comment-war with someone, so I apologize in advance if I offend anyone with my comments. I am purely commenting on the film itself, not Mandela’s story. Synopsis (IMDB): A chronicle of Nelson Mandela’s life journey from his childhood in a rural village through to his inauguration as the first democratically elected president of South Africa. There just wasn’t anything truly exciting in this film. By exciting, I mean a build up, a climax, a resolution, a denouement. The classic timeline that is present in most films/books/stories is there because IT JUST WORKS. I understand if the structure of Mandela’s journey may not follow the classic hero/villain archetype, but for film and entertainment’s sake – add some flair in there. I don’t mean completely diverge from the true story, but there are ways to film and edit things to create more excitement, more accents. Yes, I understand that films like these should be accurate – but this one wasn’t even accurate. It was also just a very long film. The only parts I liked were when the crowds of people were chanting and yelling. 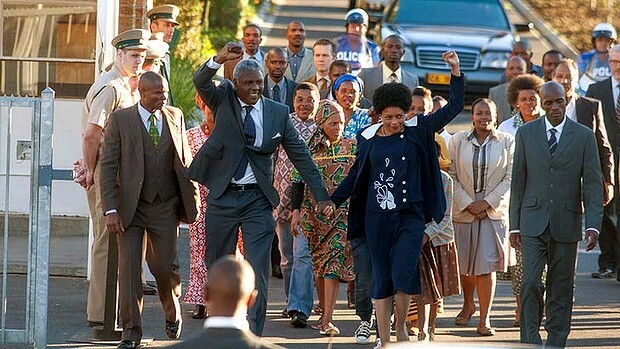 Especially those led by Naomie Harris as Winnie Madikizela. In my opinion, these were the only moments of true emotion. Idris Elba as Nelson Mandela was ok – but nothing in his performance sparked me, inspired me. I was not attracted to his portrayal of his character at all, and if you are unable to get attached to the protagonist, the film is pretty much done for you. I couldn’t invest in the movie. I didn’t feel the feels that I was expecting to feel. Unfortunately, this one wasn’t a standout for me, but many do disagree with me. Take a watch and let me know what you think! 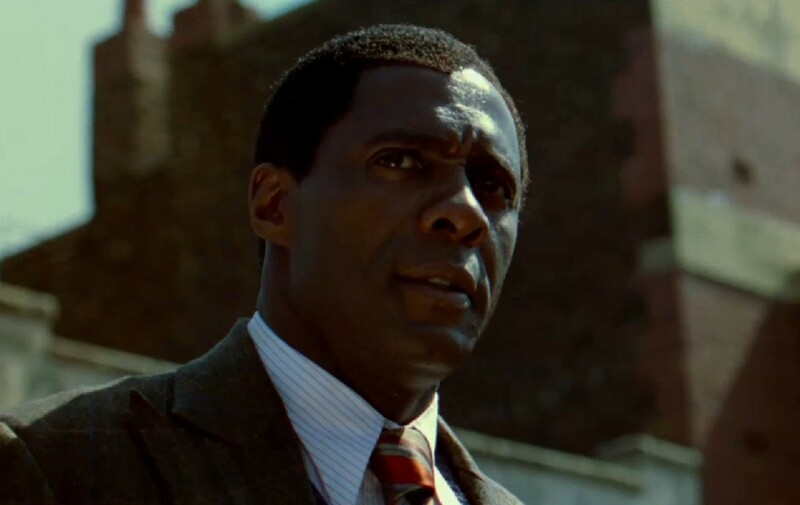 This entry was posted in biography, drama, history and tagged biography, critiques, drama, film, film review, films, history, idris elba, long walk to freedom, mandela, movie, movies, naomie harris, nelson, nelson mandela, reviews, south africa, war. Bookmark the permalink. I haven’t seen the movie yet, but your complaint is a common one with biographies and probably more so with biographies of the ultra-famous and therefore best known. I am working on a novel based on a friend’s life–an escape-from-Iran story–and it is difficult to find moments where you can break from the truth to bring more context without outright lying. My take is that it comes in finding some element of the lead character that hits a broader theme than simply the chronological story. If all I wanted were the facts, I would watch a news program or documentary…which today are just as likely to have theme. Instead, I think of the movie “Gandhi”, which to me spoke to the man’s humility and simplicity. Or “Ray” (Ray Charles), which looked at his inability to love for fear of loss. Or “Ali” (Muhammad Ali), where we saw the blinding nature of sycophancy. None of these movies was flawless, and yet each one grasped onto a human struggle to reflect the beauty of the subject’s art. Another movie from the same historical era as “Long Walk to Freedom” is “Cry Freedom” (1987) with Denzel Washington and Kevin Kline, which tells the story of a reporter trying to look into the murder of his friend and black activist Stephen Biko who died while in custody in South Africa. Great feedback! I’ll be sure to check out Cry Freedom, and would also love to read your novel once it is completed!